Mrs. Birdie Mae "Granny" Winter McDowell, 86, of Courtland, MS passed away on Monday, February 5, 2018 at her home. Birdie was born on August 3, 1931 in Hardy, MS to The Late Lela Wilson Winter and William Wyatt Winter. Granny loved flowers, reading, and gardening. She took great pleasure in helping take care of others by sharing her crops, cooking, and canning with her family and friends. She was devoted to her family, and her grandchildren and granddogs were most dear to her. She was a member of Shiloh United Methodist Church and a loving wife, mother, sister and grandmother who will be deeply missed by all who knew her. 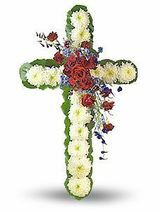 Mrs. McDowell leaves behind her loving family which includes one daughter, Dianne Brewer; and one son, Edward Dale McDowell (Teresa), all of Courtland, MS; one sister, Cornice W. Hill of Texas; five grandchildren; and four great-grandchildren. She was preceded in death by her husband of 64 years, Edward Brooks McDowell; sisters, Clara Maybell Peters and Tiny Estelle Pennington; her brothers, Henry Winter and James Clyde Winter; and her parents. Funeral services will be held on Friday, February 9, 2018 at 3pm in the chapel of Dickins Funeral Home in Batesville with Rev. Rex Wilbourn and Rev. Morgan Spencer officiating. Interment will follow in Shiloh Cemetery. Visitation will be held on Friday in the funeral home from 1:30pm until service time at 3pm. 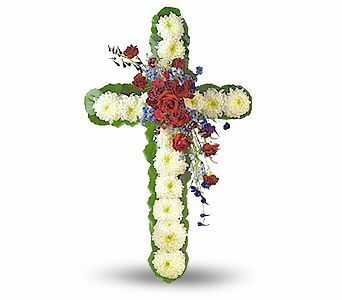 In lieu of flowers, memorial contributions may be made to Shiloh United Methodist Church Cemetery Fund.